NIA CHARLESTOWN NEVIS (August 04, 2016) — Premier of Nevis Hon. 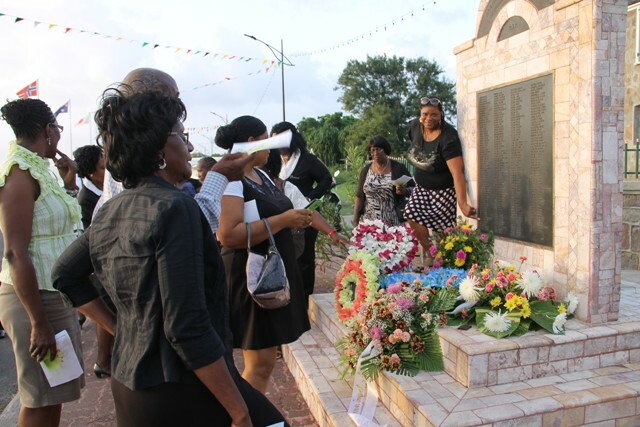 Vance Amory says the events in the island’s history which brought about marked changes in the lives of the people of both Nevis and St. Kitts should never be forgotten. Mr. Amory made the comment while delivering remarks at a memorial service hosted by the Nevis Island Administration (NIA) at the Hamilton Museum Grounds on August 01, 2016, to mark the 46th anniversary of MV Christena Disaster, in which 233 people mostly Nevisians, perished in the “Narrows” between St. Kitts and Nevis. “The Christena Disaster in fact made a big change in the lives of the people of Nevis…It took that traumatic event to change the course of our political thinking and to change the course of so many other things in St. Kitts and Nevis,” he said. 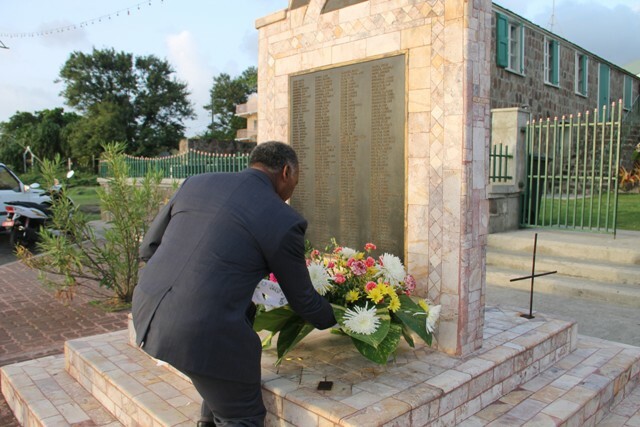 The Nevis Island Administration has been commemorating the tragedy annually. 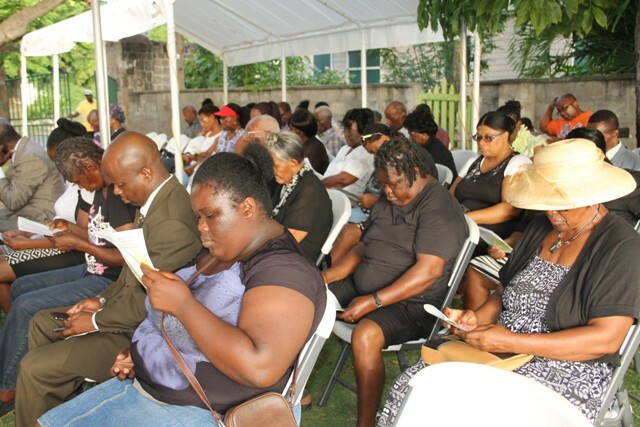 However, the Premier noted, that the annual observance serves as a reminder to those who did not witness the event, that the people of Nevis should stand strong as a united family and bond together in happy and sad times to comfort one another and share the burden of grief whenever it occurs. He urged those present to reflect on those who lost their lives, and the contributions they made. “As we continue through our life’s journey, may all of us look to the future with hope and optimism and may God continue to bless us as we celebrate their memory, the memory of the 233 people who were lost at sea,” he said. During the memorial service, Pastor Theophilus Kelly also delivered welcome remarks, a sermonette and the closing prayer. The names of those lost in the disaster were read, a moment of silence was observed and wreaths were laid at the Christena Disaster monument mounted on Samuel Hunkins Drive. Also present was Deputy Premier Hon. Mark Brantley, President of the Nevis Island Assembly Hon. Farrell Smithen and Permanent Secretary in the Premier’s Ministry Wakely Daniel.